Four points each, two wins and one defeat each…but there was a place only for two teams in the quarterfinal of the Men’s Teams Event at the TMS European Championships. In Group B the least expected team to lose that position was Greece, but it happened. Silver medalist from last year’s European Championships concluded the Group phase at position no. three. They beat Slovakia in the last match, but it was not enough. The biggest upset was created by Spain. They reached quarters from the top spot, despite the defeat in the ultimate match in the Group. France emerged successfully to book the second position in the Group. 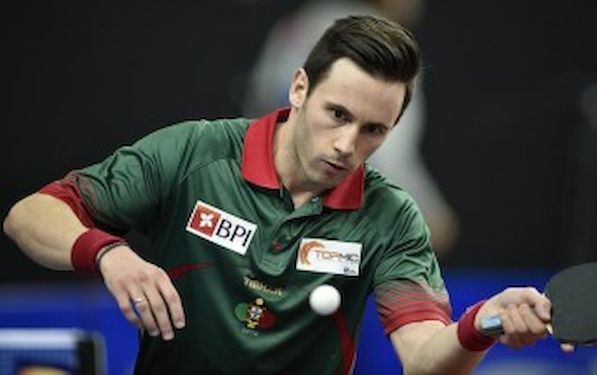 After another epic battle Portugal lost their duel against Austria, but moved to the quarters from the position no. two. For the titleholders, Germany, Dimitrij OVCHAROV arrived just in time to play against Hungary and to secure top position. In Group C Belarus booked top position after three victories over Sweden, Italy and Poland. Sweden is second. Russia is also unbeaten and they are first in Group D. After four hours match Croatia beat Romania to moved to the next phase from spot no. two.